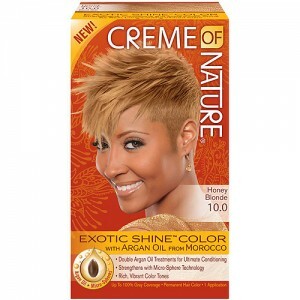 Get a FREE box of Creme of Nature Exotic Hair Color. Just head on over to Facebook and click “like” on their page, fill out the form, and click submit for your chance to win this FREE box of hair color. From their page: Creme of Nature line of hair care products has Certified Natural Ingredients including shampoos, conditioners, treatments, relaxers and color for retail and professionals.